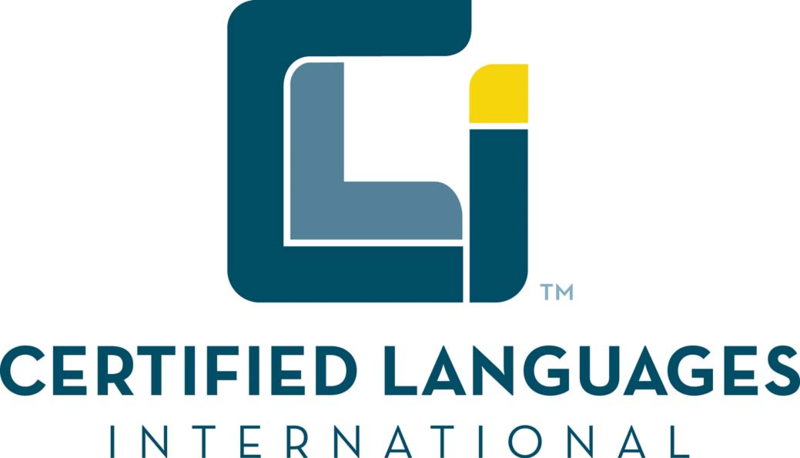 Certified Languages International (CLI) is a full-service language company specializing in over-the-phone interpreting, video remote interpreting (VRI), document translation services, and assessment services for interpreting skills and language proficiency. With a growing list of over 200 languages, CLI is among the largest providers of its kind in the world, servicing North America and abroad. CLI offers professional, U.S.-based interpreters skilled in industry-specific terminology and available 24/7/365. Since 1996, CLI has provided the highest quality services to thousands of companies across a spectrum of industries that include healthcare, insurance, finance, call centers, utilities, telecom, travel, tourism, hospitality, transportation, technology, education, and retail. CLI also delivers vital interpretation services to federal, state, and local government agencies, judicial/court systems, and police and emergency response services. CLI is committed to helping organizations maximize the value of their non-English speaking customer relationships, which it achieves by investing in innovative technology to deliver language services with unmatched efficiency and accuracy.